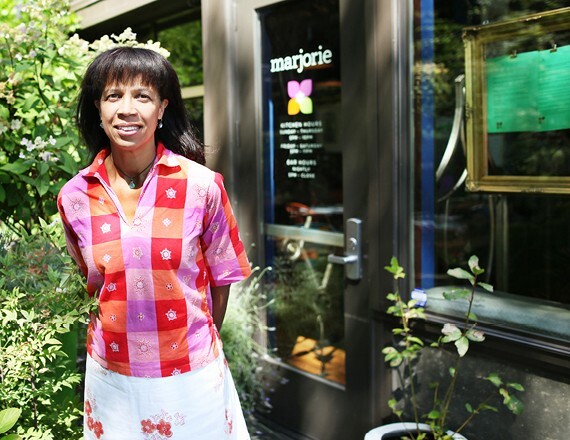 Longtime Belltown favorite Marjorie moves to Capitol Hill, bringing its eclectic, ambitious menu of food from all over the place. The steel drum plantain chips have their own loyal following, and can be purchased at the restaurant to take home. Make reservations for Marjorie here. Happy Hour Mon-Fri 5-7 pm ($8 cocktails, $9 martinis, $7 wine, $5 - $10 small bites. Marjorie must have Happy Hour seats / barstools at 7:15 pm to honor dinner reservations).